Love is the most wonderful feeling in the world and it is well said there is only one happiness in life, to love and to be loved. A lovable couple who are madly in love ties an wedding node after struggles than it creates an example of whole society. Yeah! You are right, we are talking about none other than upsc sessions Tina Dabi and Athar Amir-ul-Shafi. This beautiful couple got hitched on 20th March 2018 in the city of royals Jaipur. 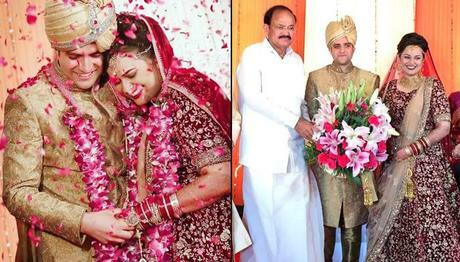 After facing so many criticisms, the couple finally tied node on very simple ceremony on Jaipur court. This couple set an example that love is beyond religion, community, caste and when its real it can cross any obstacle. 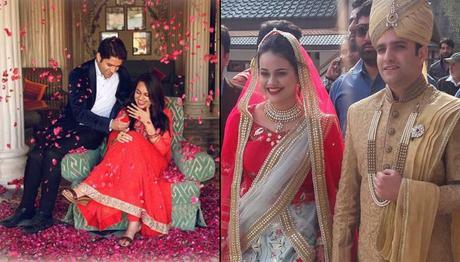 The south Kashmiri boy Athar and Delhi girl tina Dabi has an interesting love story. Tina Dabi creates a sectional when she topped the toughest exam of Indian civil services in her first attempt. Impressed with her dazzling smile and intelligence rather who was the second-ranked on the same exam lost his heart as he saw Tina. This beautiful and intelligent couple fall in love as the first time they met. But As they both belong to same aim and goals Indian Administrative Service, they choose to focus on their career first. They had met at the DoPT (Department of Personnel and Training) office in Delhi during the 2016 felicitation ceremony. This adorable couple not only gives us strong couple goals but they are the best example of how you can focus on their career and achieve goals. The couple is open about their relationship from starting and quite popular on social media. They shared pictures together and it shows how much they are in love each other. This lovely couple rock on social media and has huge followers.We can give our best wishes to them and wish they achieve miles of success in their personal and professional life.